Is it me, or is more stuff coming in different colors? 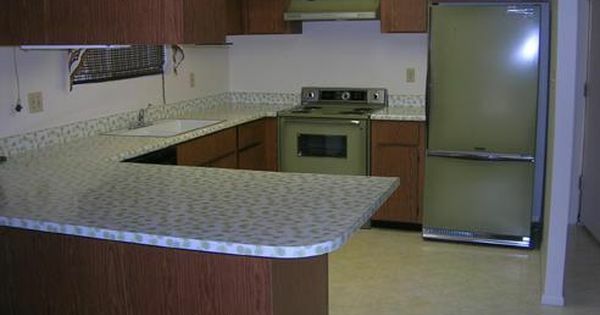 As long as we don’t go back to avocado green. Since the end of the “woodgrain era” of electronics, your stuff has generally come in one of two colors: black or silver. And, it’s mostly been black. There was a perilous flirtation with silver televisions and accessories in the mid-2000s but since then, pretty much everything in your entertainment center has been black, black, black. Could that be about to change? First let’s look at the “conventional” wisdom about why something like consumer electronics would be available in multiple colors. When a product is new, color is a differentiator. In the very early days of product development, you see a lot of variation in colors and form factors as different manufacturers hope to become “memorable.” You saw that for sure in the early days of streaming boxes. As a product becomes more accepted, different brands adopt similar looks. Looking at the way that home theater has evolved since the 1970s, there’s been a trend toward moving devices toward established colors and shapes. In home theater we used to call this “component width” as if we were actually going to mount all our stuff in commercial racks. (some people do, don’t judge.) Whether mounted or not, the whole point was that when you stacked your stuff on top of each other, it made a nice little pile with nothing sticking out. Consumers who had to buy many different components still wanted a consistent look for their products and therefore, black ruled the day. As a product becomes commoditized, manufacturers use color and design to stand out once again. A lot of the consumer electronics market is very mature now. You have a TV and maybe you have an audio receiver and surround sound system. Maybe you just use a sound bar or (groan) your TV’s speakers. If you’re like me, the number of different things in the stack has shrunk; for me it’s down to a satellite DVR, streaming box, audio receiver and Blu-ray disc player. At one point there were 11 different things there. More interestingly, the only thing left that’s component width is the audio receiver; everything else is a different shape and size. And when I buy the next one, I wouldn’t be surprised if it’s a different color too. With more people simplifying their home theaters, you’re finding that multiple colors and shapes don’t clash but instead add some visual interest. It’s not just the home theater, either. A lot of consumer gear is making its way out of the living room into other rooms. Smart assistants like the Echo Dot and different forms of networking equipment are finding a place all over the home, and that means manufacturers need to think of ways to improve the look of these products to fit in many other rooms. This started with a trend toward white devices, which was pioneered initially by Apple, but white has become a go-to color for smart home manufacturers. You’re also seeing shades of grey as well. But will you see a flat out return to wildly colored consumer gear? Does anyone remember these? 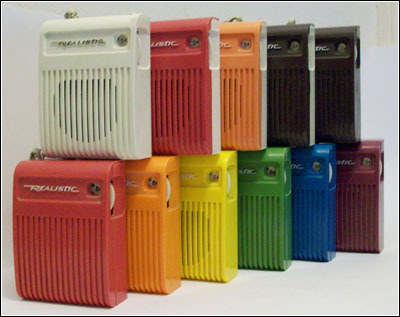 RadioShack made waves with these inexpensive transistor radios perfectly timed to capture the disco era. And I say, it could happen again. Bose has shown electronics in different colors and a lot of lower-end Bluetooth speakers are available in different colors. The trend could continue, where you could order consumer electronics to match your style. I completely expect this to happen soon. Thanks to Signal Pro Brad for this suggestion!